Reading this in Rediff, gave me an idea for another trivial pursuit. What is remittance? A remittance is a transfer of money by a foreign worker to his home country. India, once again, topped the global remittance inflows maintaining its # 1 Rank. It is not entirely surprising given the huge number of migrants the country possesses and the close ties that these NRIs/PIOs tend to have with their mother country. 1. Which country has the highest number of emigrant workers in the world? 2. Which country has the highest remittance to GDP ratio ( A whooping 45.5% in 2008)? 3. Which state in India is the largest receiver of remittances? How do we better know " Société Alsacienne de Constructions Atomiques, de Télécomunications et d'Electronique" ? 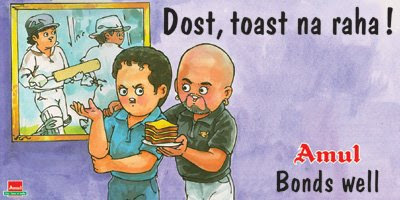 Its tough to beat Amul in being witty and trendy. 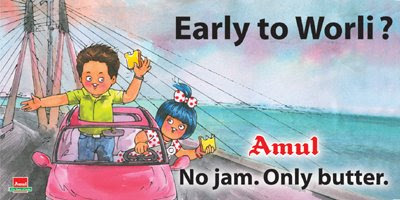 I loved the "Worli" Ad. Steinway is a high-end piano maker , more than 150 years old, with a motive " To build the best piano possible". It has many accolades to its list including that of building the world's most expensive piano and filing more than 100 patents. The Question is " What is the stock symbol of Steinway" and "what does it stand for"? Have you heard of Galapagos Syndrome ? ( We all have heard of Galapagos island, thanks to Darwin), I haven't until today. Why do Japanese cell phones which have been ahead of rest of the world by at least three years in hardware and features, never been able to garner any market outside Japan? So, you get the drift - that is Galapagos Syndrome. I have always been amazed by what the Japanese could do with their mobile phones. We mortals couldn't even do half of those things with PC for a long time. NYT says " Japan’s lack of global clout is all the more surprising because its cellphones set the pace in almost every industry innovation: e-mail capabilities in 1999, camera phones in 2000, third-generation networks in 2001, full music downloads in 2002, electronic payments in 2004 and digital TV in 2005. " Why weren't the Japanese successful then? " Despite their advanced hardware, handsets here often have primitive, clunky interfaces, some participants said. Most handsets have no way to easily synchronize data with PCs as the iPhone and other smartphones do." What should the Japanese phone makes do now? "Japan’s handset makers must focus more on software and must be more aggressive in hiring foreign talent, and the country’s cellphone carriers must also set their sights overseas." What is great about iPhone - Its design, ease of use and amazing variety of apps that can be loaded on it. The Japanese definitely know more about convergence but can learn a thing or two about building a partner ecosystem & ease of use from Apple. Krugman, as always, hits the nail on the head. If the financial sector thinks there are no lessons to be learnt from the sub-prime crisis, then it is an ominous sign for the future of global markets. I am here in Bangkok on a business trip, the past two days. a) I was pleasantly surprised that the Thai Government has waived off the "Visa on arrival" fees, for a limited time period, to attract more tourists. b) I am getting lucky these days with hotel rooms. This is yet another " Room with a View" - of the Chao Praya River. c) The weather has been very pleasant - I haven't seen the sun yet - although I haven't had a chance to get out of the hotel due to the day long convention. What is cricket without the lively commentary, the on-field spats ( and off the field ), Verbal duels and the colorful personalities? 1. " A natural mistimer of the ball" . About whom was this said? 2. " There are, quite clearly, two of them. The first one turns up for Worcestershire and plays like a God. The second one pulls on an England cap and plays like the anagram of a god". About whom was this said? 3. "The other advantage England have got when "X" is bowling is that he isn't fielding". Who is X? 4. "Nobody's perfect. You know what happened to the last man who was - they crucified him". Who said this as a defense against his slow batting? 5. " The first rock and roll cricketer ", " The most overrated player I have ever seen" . About whom did Sir Len Hutton and Harold Larwood respectively make this comment? 6. "It's hard work making batting look effortless" . Who said it? 7. " Too much cricket will kill cricketers before they are ready to be killed". Who said it? WSJ: Is India on the path to being a superpower? India is not a superpower. I don't think we have aspirations to be a superpower. By virtue of our scale and the growth of our economy and the stability of institutions in India, India is poised to emerge as a significant actor in global affairs. But let us also remember that large portions of the Indian population will continue to be relatively poor. The overall scale of the economy will be huge, but per capita incomes will still be relatively low. This is a dimension which Indian politics has to take into account and be sensitive to. b) It was good to see another woman ( after the Foreign Secretary Nirupama Rao) occupying the high chair in Foreign service. 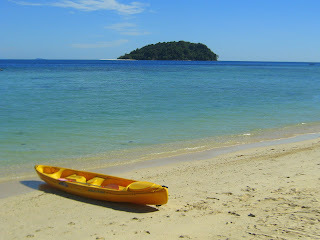 An "idyllic" weekend - silky sand, stunning waters, bright sun and a lone canoe. Mom : So, what are you having for breakfast? Are you able to get Idli, dosas there? From there, I made much better progress over the next few months to become an "obsessed" Vada Paophile ( If there is such a term). Vada Pav was the simplest, tastiest and easy to carry snack that was tailor made for the fast paced life of Mumbai. I simply loved the Vada Pavs in Thane, where their size was much bigger. Next time I am in Munbai I have two goals - Walk into a Jumbo King outlet to taste their Vada Pav and then head straight to Mithibai college. Its one of the most amazing books I have read in a long time. In fact I still consider it too incredulous to be true. Sudhir Venkatesh, now a professor of Sociology at Columbia University, writes about the years he spent as a research student in the slums of Chicago studying crime, gangs and poverty ( amongst black people). 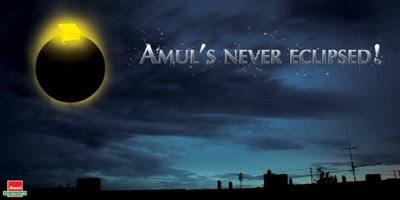 I first heard of Sudhir when I read the book " Freakonomics". In this book, he recounts the seven years he spent at the Robert Taylor homes project and his friendship with J.T ( A gang leader) and his gang. The book is riveting, with never a dull moment, and is an honest assessment of the ground realities in the poor slums of Chicago. The characterization is excellent, the tone is neither condescending nor salutory and the author grabs you by your collar deep into the lives of gang wars and poverty. I still think the tale is too good to be true. P.S : Its amazing that a Vegetarian survived for seven years, practically living every day in that slum !